Dr. Tarlowe is board certified in both Colon & Rectal Surgery and General Surgery, with more than 10 years of experience. He is a fellow of the American College of Surgeons and the American Society of Colon and Rectal Surgeons. 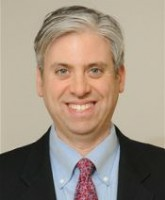 Dr. Tarlowe maintains a full-time private practice in White Plains, NY and New York City. He has reviewed numerous cases for medical expert witness work. Dr. Tarlowe provides unbiased and impartial expert testimony and litigation support services to both plaintiff and defense attorneys. 1. Tarlowe MH, Duffy A, Kannan KB, Itagaki K, Lavery RF, Livingston DH, Bankey P, Hauser CJ. Prospective study of neutrophil chemokine responses in trauma patients at risk for pneumonia. Am J Respir Crit Care Med. 2005 Apr 1;171:753-9. 2. Tarlowe MH, Kannan KB, Itagaki K, Adams JM, Livingston DH, Hauser CJ. Inflammatory chemoreceptor cross-talk suppresses leukotriene B4 receptor 1-mediated neutrophil calcium mobilization and chemotaxis after trauma. J Immunol. 2003 Aug 15;171:2066-73. 4. Tarlowe MH, Swan KG. The death of General Albert Sidney Johnston. Bulletin of Am Coll Surg. 1998 May;83:15-23. 5. Tarlowe M, Meisenberg G, Ward WS, et al. DNA transfer from one human prostate cancer cell to another. Surgical Forum. 1995;46:776-8.